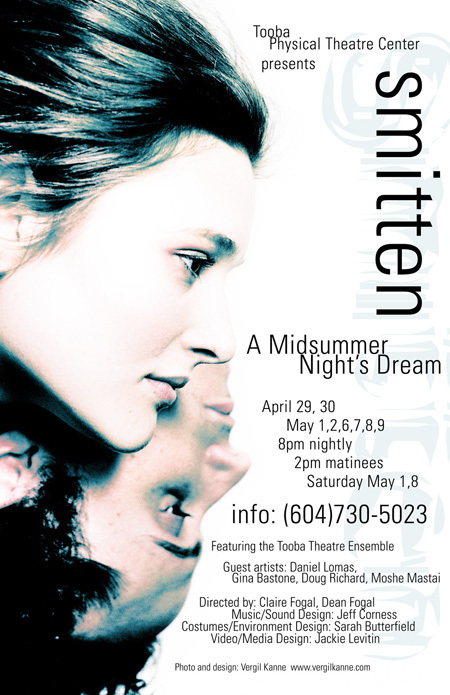 The Tooba Physical Theatre Centre’s production of Smitten – an adaptation of a Midsummer Night’s Dream – featured two actors, male and female, playing the part of Pan. Each actor represented one facet of the character’s persona. The shot for the promotional poster attempts to capture this duality, with the inverted male face making a reference to the two-faced imagery of a playing card.